We use our books to let you get to know us prior to working with us. For us, it will be the way we share our thoughts on the Marketing World and to show you, the business owner, that we continuously stay on top of the wave of business building knowledge. Hank’s first book, 49 Stupid Things People Do With Business Cards… and How to Fix Them is a fun jaunt through the various ways we all share the basics of our business with the people we meet. This is actually a great marketing tips book, too. 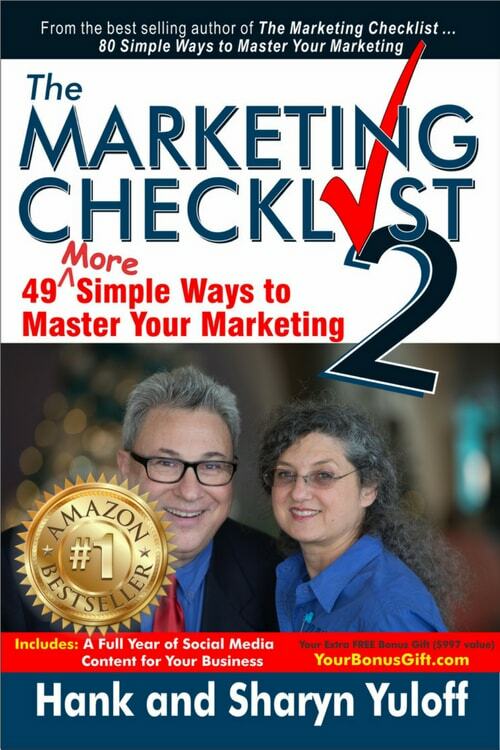 The Marketing Checklist series began a year after the debut of “49 Stupid.” It was supposed to be a workbook to help you create the perfect business card, but by the time we were done, it had become what we thought would be ‘Our Book.’ But then we began blog. And learn. And share. And teach. Before we knew it, books number 2 (more business tips) and 3 (a social media How To book) were finished, published and like the others, risen to Best Seller status. 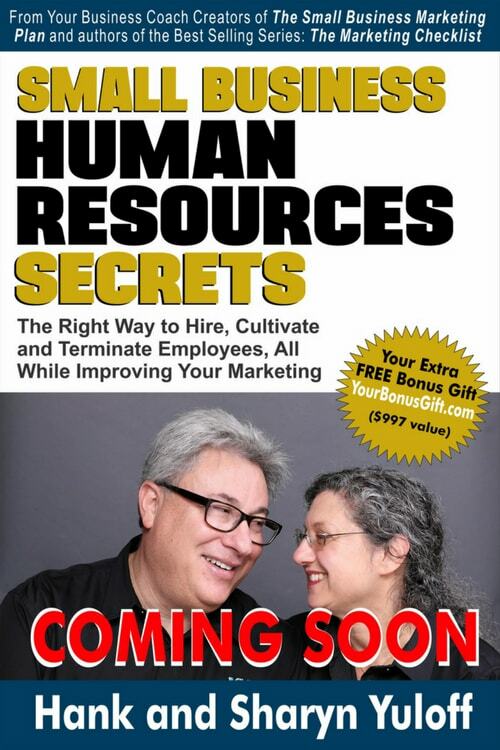 The next books in the series will be How Your Human Resources is a Marketing Tactic (#4) and another marketing tips book (#5). 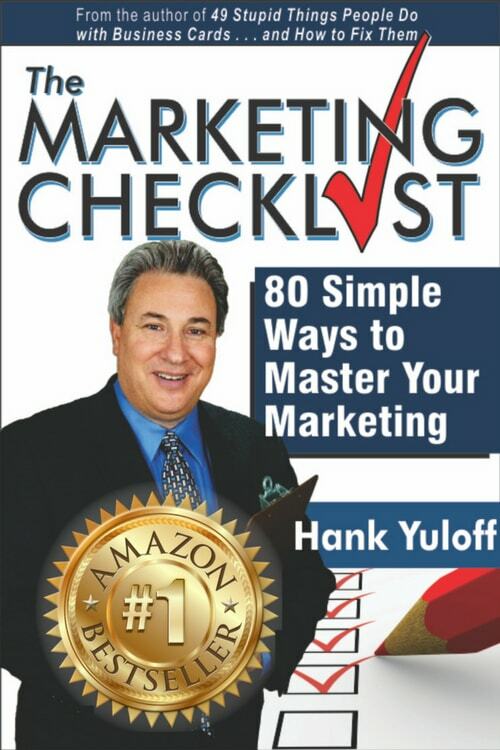 We also named our radio show The Marketing Checklist so that you would have a place where we share material from the books as well as share marketing tips from other Thought Leaders in the business world. 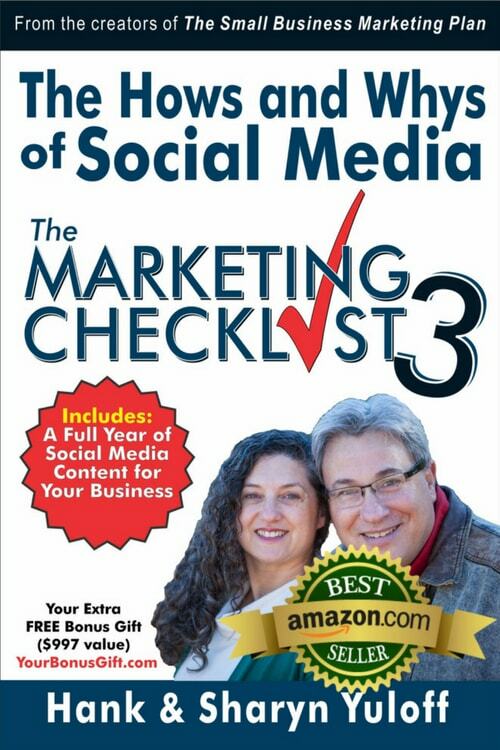 You can always check here for past editions (about 200 hours of free training for you) at www.TheMarketingChecklist.com. You have probably seen that when a guest is brought on to a radio or television program, they are introduced as ‘the author of….’ Over and over, you hear that introduction. We noticed that, too! After investigating we found that radio and television hosts want to interview Thought Leaders. The way they know you are a Thought Leader is to examine your roster of work. Your books do that like no other method. We use our books to let you get to know us prior to working with us. For us, it will be the way we share our thoughts on the Marketing World and to show you, the business owner, that we continuously stay on top of the wave of business building knowledge. Others may stay frozen in place, but we prefer to surf that wave and carry you with us.